While the iPad provides countless hours of entertainment and fun for some, others put it to great use in their chosen professions, and the field of psychology is no exception. These ten apps bring innovation and convenience into the 21st century for students, practicing psychologists and their clients. 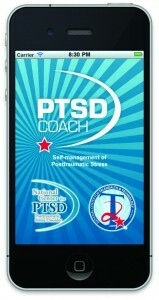 Psychology students can download this app for use as a “survival guide” throughout their studies. Locate information quickly and easily and in a format that makes sense. 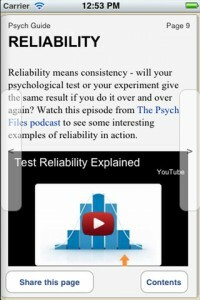 Version 2.1 has been enhanced with audio clips from psychology experts such as B.F. Skinner and Sigmund Freud. 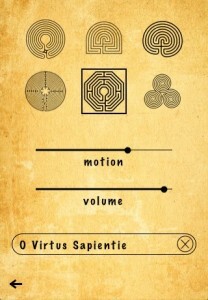 Students can use this free app to study physiology anytime, anywhere. 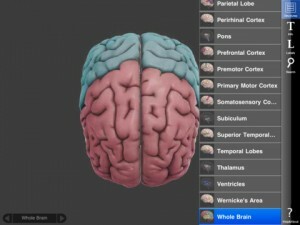 The 3D interactive interface allows you to rotate and zoom around 29 interactive structures of the human brain. Pictures depict both normally functioning brains, and those with impairments. Study how brain physiology is affected by mental illness. Case studies and links to current research trends are included. As any psychologist can tell you, an essential part of therapy with children is getting them to tell you “their story,” when they are shy or reluctant to talk. This app provides a fun interface for children to draw their own stories that helps to surmount some of those obstacles. 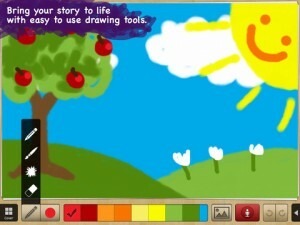 Children draw full-color pictures or upload photos to make their stories come alive. This app is appropriate for psychology students studying diagnoses based on case presentations. Students can review 60 case studies, formulate their diagnostic theories and test their knowledge with a quiz on each. Make note taking come alive. Students can finally throw away their endless piles of paper notes and use this electronic note-taking app instead. 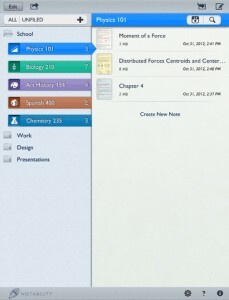 You can write, zoom in on your notes, draw pictures, and annotate pdf files. Organize yourself by adding bookmarks, linked audio recordings of the lectures or insert media files from other sources. This app is useful for the practitioners who take notes while meeting with clients, too. When treating patients for stress, psychologists often guide their patients through meditation in the office. 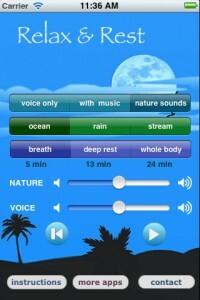 This app will allow your patients to meditate at home to reap the benefits of deep relaxation between sessions. Three different meditations of varied duration allow for flexibility and choice in your down time. Choose between music and nature sounds to personalize your experience. Sometimes psychologists like to teach their patients to walk through labyrinths as an alternative or supplement to meditation for deep relaxation. Once they learn the concept, this app helps your patients do their own guided imagery at home, guiding the green ball through a labyrinth while taking deep breaths and listening to the sound of a babbling brook in the background. 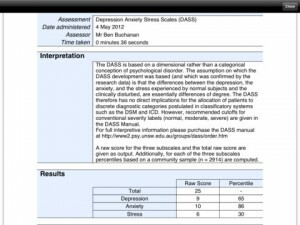 Instead of struggling with paper and pencil psychological test inventories, psychologists can use this app to have patients take standardized psychological tests on an iPad, transferring scored data to the clinician for interpretation. Exposure and Response Prevention, or ERP is an effective, proven treatment for obsessive compulsive disorder. This versatile app can be used for both adult and adolescent patients, teaching them to use the principles of ERP at home. When treating patients with post-traumatic stress disorder, it’s important to give them “homework” to apply what they learn during sessions into their daily battle to work through trauma. 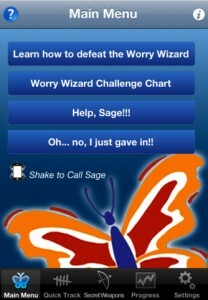 This app serves as an educational resource, contains a self-assessment, and provides tools to manage daily life stress, such as relaxation skills and anger management tips.